The seductive and deadly femme fatale is a staple of the film noir genre. She defied gender conventions of the time, revealing herself to be intelligent, cunning, and almost always duplicitous. 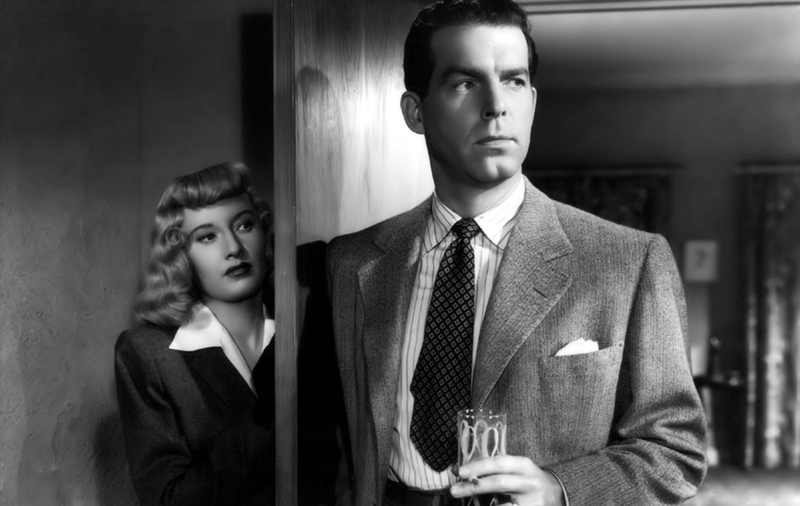 Cinema scholars often refer to Barbara Stanwyck’s character of Phyllis Dietrichson in Double Indemnity (1944) as one of the top examples of the femme fatale, as her conniving spirit and good looks worked all the men in her story to her whims. When we first meet Phyllis, her character is perfectly introduced through brilliant presentation. We’re stuck at the eye level of Walter (Fred MacMurray), staring up at her as she stands at the top of a staircase, half-dressed. She’s the dominant figure in the scene. Her allure is quite evident, and her visual position above the other characters is easily symbolic of her control. It only takes seconds for Walter to be entranced by her, and the flirtatious banter begins. He spots her “honey of an anklet,” and is keen to make his attractions known. “You from the Automobile Club?” she asks. “All Risk,” Walter answers. It turns out that’s quite true. Phyllis has no conscience or scruples about the way she behaves. She knows exactly the way she’s perceived and uses it to her benefit. She is objectified to the point she wishes to be, as she realizes that male lust is the key to getting what she wants. She presents herself as a piece of material on purpose, and it works. She uses her charms to ensnare a rich husband, then to dipatch him and reap the rewards. She feels no need to directly demoralize the men she meets to establish power over them, she knows it's more natural than that. Her power over men isn't forced or even asserted, it simply exists. Despite Water’s criminality, this renders him the hero of the piece. He’s the character the audience is supposed to identify with and root for, so much as one wants to root for a killer and thief. And even though he committed the crimes, he did so under the spell of Phyllis. He was doomed from the first moment they met, as she stood atop that staircase and he verbalized “All Risk” - every moment they spent together was bathed in that risk, and it turned out to be more than either of them could handle. Phyllis transformed a regular, bored man into something more -- something which ended both their lives.